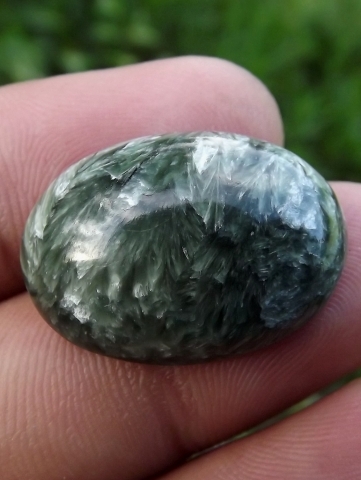 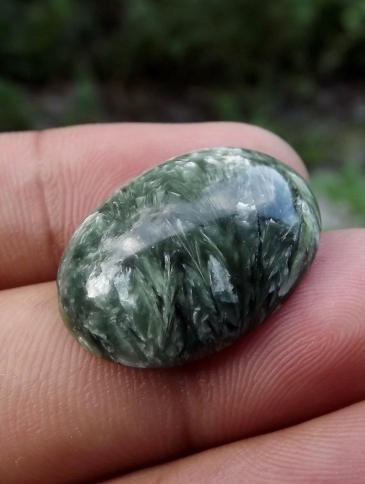 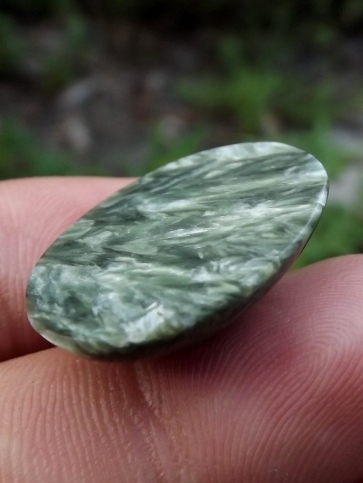 This beautiful gems is a natural Seraphinite. 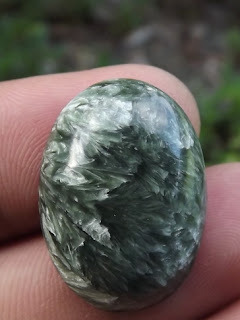 The feather like phenomena appear all over the surface of the gems is very beautiful. The dimension of the gems is 25mm x 18mm x 6,5mm. 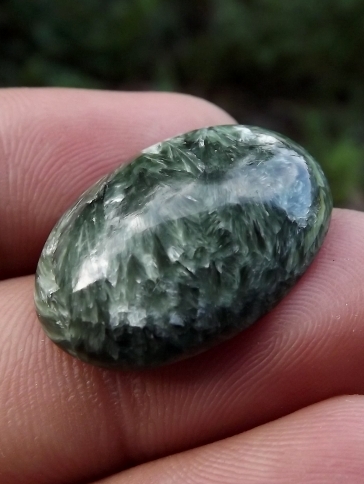 A beautiful gemstone for your precious collections! Natural Seraphinite!